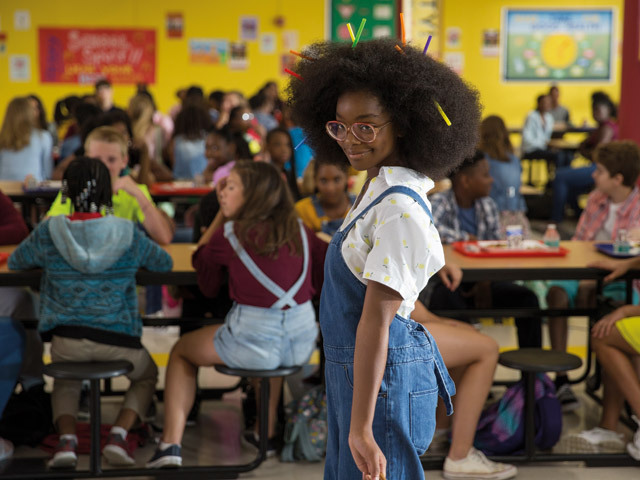 Rising star Marsai Martin (Little Jordan Sanders/Executive Producer), at just 14 years old, is already on course to be a whirlwind sensation. At the age of five she landed her first national commercial and shortly after relocating to Los Angeles, she was cast as Diane Johnson on the ABC Emmy-nominated hit comedy Black-ish. Alongside an all-star cast, the young starlet has stolen the hearts of viewers who tune in every week to see her hilarious and witty antics on the show. Her work on the show has earned her seven NAACP Image Awards as well as two Screen Actors Guild Award nominations. As the star and executive producer of Little, she has become a part of Hollywood history as the youngest person to executive produce a major Hollywood film. With opportunities presenting themselves daily, Martin is excited about uplifting diverse and young voices through her production company Genius Productions, which recently signed an overall deal with Universal. In addition to acting, she loves producing, singing, dancing and creating her own content for social media.